Najib: Abolishing PTPTN will cost taxpayers RM43b!!!! KUALA LUMPUR, April 7 (2012) — Abolishing the National Higher Education Fund Corporation (PTPTN) student loan scheme would cost taxpayers an additional RM43 billion, the prime minister said today. Datuk Seri Najib Razak said the move, as proposed by Opposition Leader Datuk Seri Anwar Ibrahim is not feasible, as it would impose an additional burden on Malaysians. Janji Ditepati’ in Batu Pahat, Johor earlier today. The PM said that the government did not want to burden Malaysians by imposing high taxes in order to abolish the PTPTN. Najib pointed out that his administration currently bore 90 per cent of the country’s higher education costs, and stressed that the PTPTN was only being utilised to pay tuition fees for students. Pakatan Rakyat (PR) has maintained that scrapping the PTPTN is possible by eliminating the country’s wasteful expenditure. Anwar had cited the country’s RM150 billion revenue, saying that much money was wasted on construction that had ballooned in cost as well as leakages and bribes as reported by the Auditor-General. PR had previously promised to abolish PTPTN loans and provide Malaysians with free higher education should it come to power. Students, led by Solidariti Mahasiswa Malaysia (SMM), are planning to hold a rally next month calling for the abolition of the PTPTN. But Higher Education Minister Datuk Seri Khaled Nordin said recently that students who want the PTPTN to be scrapped should vote for the opposition rather than take to the streets as the 13th general election would be called soon. Khaled had earlier announced at the closing ceremony of the 2012 National Higher Education Carnival here that the Cabinet had approved an additional RM6 billion in funding for PTPTN loans for 2012/13. 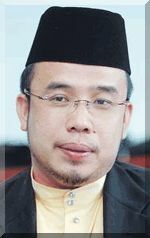 His ministry had asked for an additional RM16.5 billion to fund higher education loans for the 2012-2015 period. Khaled also said that the PTPTN was necessary despite the low tuition fees at public universities as students still needed to pay for food and accommodation. My note: But government should not impose high interest to students as opposed to educational policy to provide educational facilities to the people of Malaysia.